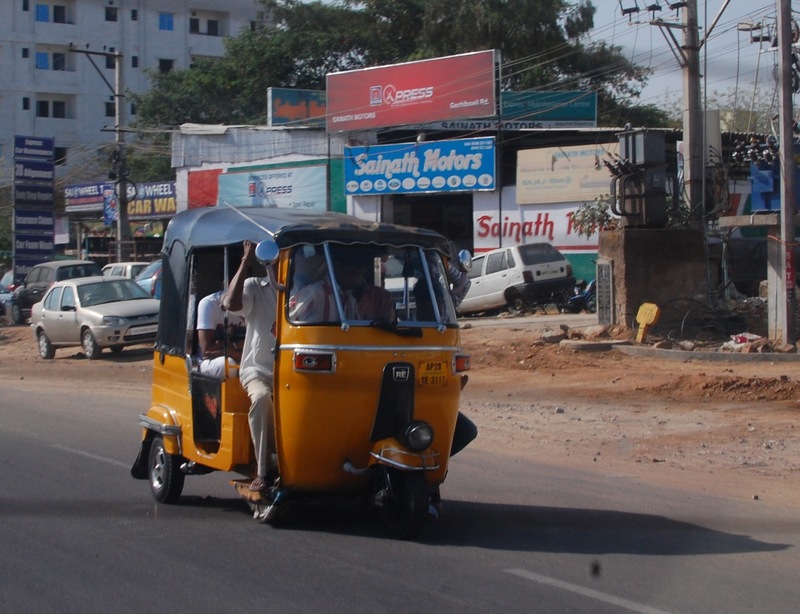 This auto rickshaw is a small taxi body grafted onto an inexpensive motorcycle engine. It was interesting observing the diversity and quantity of passengers and cargo that could fit into the back of one: extended families, mountains of coconuts, and half a class of schoolgirls are some examples. I believe there are five passengers plus the driver on this one.